Tired of screaming your drink orders over the music and opening tabs? Want to invite that special person to meet you at the bar? Your friend’s birthday and you’re out of town? Want to meet new people nearby? 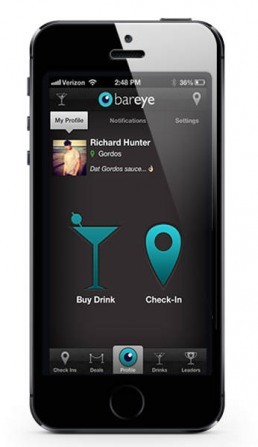 Richard Hunter and his partner at ‘BarEye’ recognized the opportunity to create a platform where the customers can connect and buy drinks easily at bars. They wanted to create a platform that not only helped customers buy or share drinks easily, but also connect with other people at the bar. The challenge was not only creating the social media app but also integrate it with an existing POS solution. Sunflower Lab team worked with Richard Hunter and his partner to create their vision. We helped them create backend system which communicates with POS and mobile application. Facebook signup allows user to connect with their friends and buy drinks for them even if they are not at the bar. The talented team of developers at The Sunflower Lab has proven to be capable, efficient and dedicated to meeting all of our needs, ensuring that we are always satisfied with the outcome of their work. 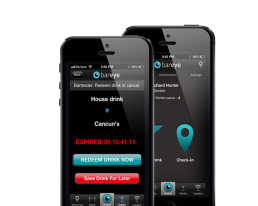 The users can check in at the bar to get more reward points. 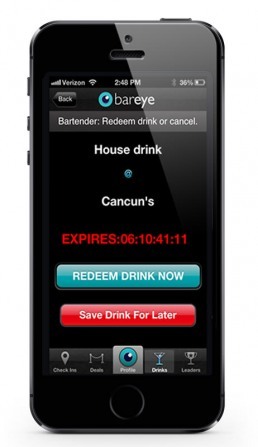 Everyone at the bar can see checked in users and buy or share drinks with them. It is an innovative way to connect with other people at bars. As a company, we are very satisfied with the end results produced by The Sunflower Lab and we look forward to continuing to work them in the future. 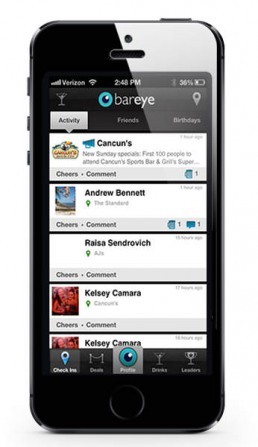 One of the purposes of ‘BarEye’ to create a social nightlife app was that, their users should be able to easily connect with their friends using this platform. Once a user buys a drink for anyone, the platform enables private chat features. Private chat allows the user to initiate a conversation and then stay connected through the app. The users can also buy drinks for their friends and connect with them from far away.